If you have been to China or watched the travel shows talking about it you may recollect that besides the regular chinese rice, gravies and noodles there is one another popular street food - the Noodle bowl. It is extremely pleasing to see fresh bland hot bowl of noodles topped with vegetables or other things of your liking and served in a flat dish. I saw one of the travel shows where they were doing this in small boats in towns that were primarily water bodies. Usually these boats would be actively roaming during breakfast time or for snacks. It is meant to be a very fulfilling snack. The other way of enjoying the noodle bowl is when you would like to arrange a steam boat party. You can call over friends of your own of your kids and arrange them around a table. On the table place various topping in a bowl. The noodles should be freshly cooked in small batches though for each serving in a boiling pot of water - The steam boat. The rest of the toppings would be as per their liking. You could use a electric rice cooker. 1) In a large pot of boiling water add salt, black pepper and crushed garlic. 3) Drain and keep in separate bowls. 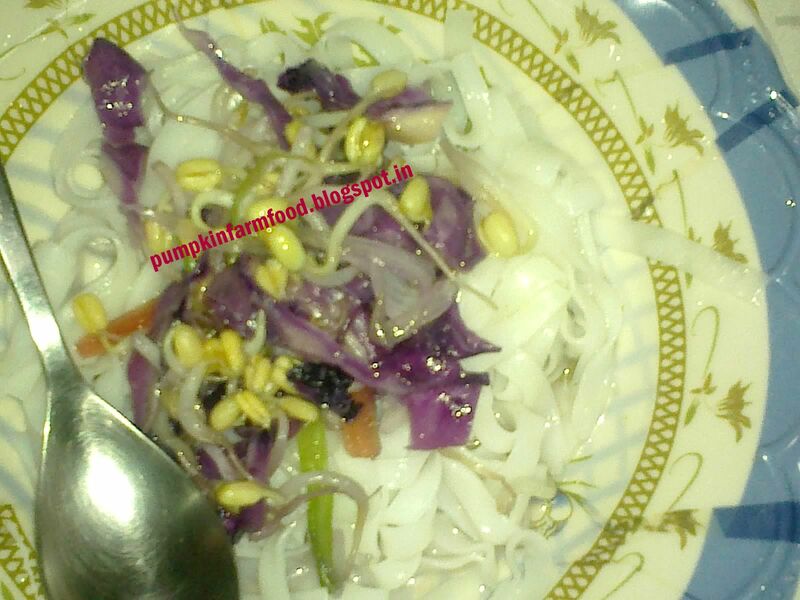 4) In other bowls arrange all the other toppings - paneer, noodles , spring onions and the sauces. 5) Provide a flat serving bowl to each individual. 6) Now in the boiling water, add one serving of noodles at a time. When they rise to the surface, drain it using a strainer and serve in each bowl. 7) Ask them to help with required toppings. This needs to be served hot and instantaneously. 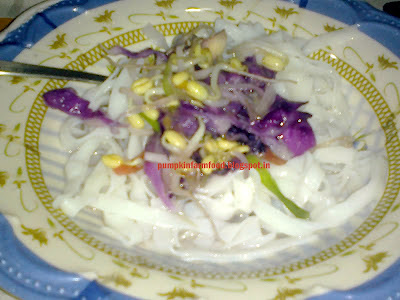 Nice to know abt the funny steamboat party :) noodles bowl sounds yummy n filling with vegs too!thanks for sharing! I can have this noodles bowl anytime,absolutely inviting. I have been to the restaurants with my friends for steam boat dinners..it's real fun. Need to try this one of these days. Love chinese food. Kids love when they are involved right..sounds very nice.. These look so good..perfect !! Liked all the info that you've given on noodle bowls. Such a healthy noodle dish.